Background: The Prairie Warbler is a rare songbird in Ontario and is on the candidate list for re-assessment by the Committee on the Status of Endangered Wildlife in Canada (COSEWIC). There are known concentrations of breeding Prairie Warblers along the southeastern shore of Georgian Bay and the species is found rarely along the southern edge of the Canadian Shield. The amount of shrubland where Prairie Warblers breed is thought to be declining and little is known about the distribution of this species across the transition zone between the Canadian Shield and the Mixedwood Plains, from Georgian Bay to the Frontenac Arch. This area, known as the Land Between, has been gaining increasing attention as a unique and ecologically significant region of Ontario. The Land Between has never been systematically surveyed for Prairie Warblers, leaving a critical knowledge gap regarding the species’ distribution in this region. 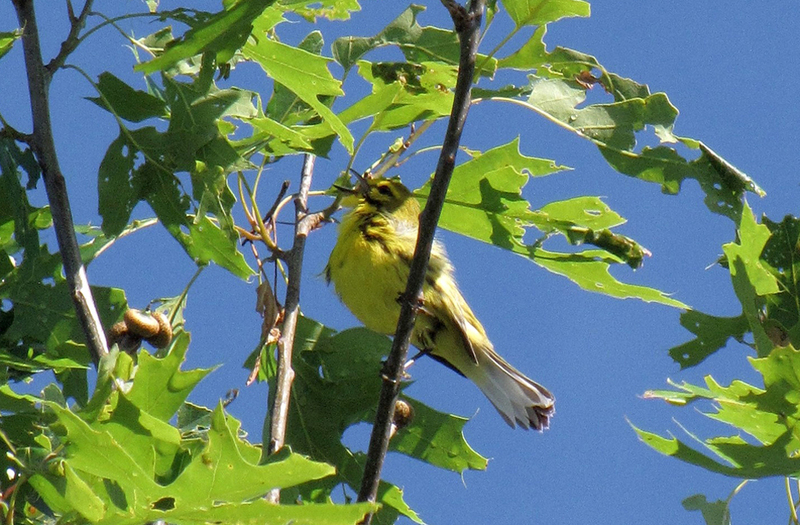 Project work: In 2015, BECO’s Research Scientist worked with the Canadian Wildlife Service to develop a statistical model showing the potential distribution of Prairie Warbler habitat in central and eastern Ontario. Model results suggested several substantial areas within the Land Between that could provide Prairie Warbler habitat. 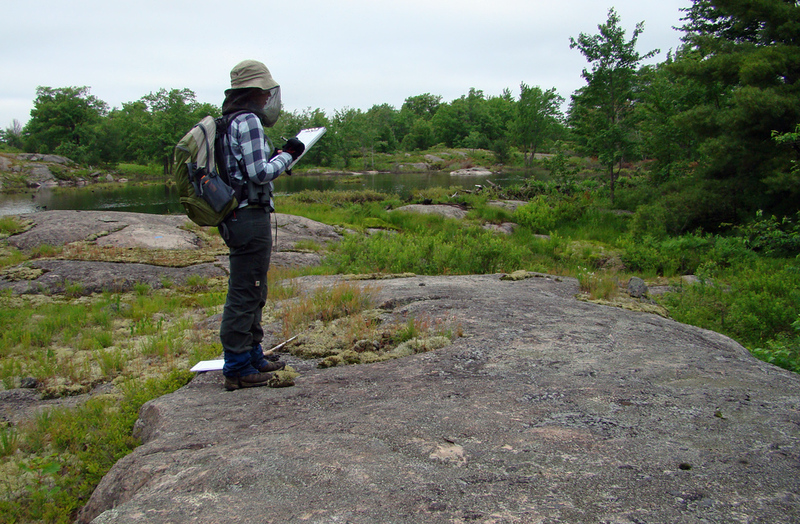 In June of 2015, BECO conducted preliminary field surveys in Queen Elizabeth II Wildlands Provincial Park, targeting areas that were identified by the model. 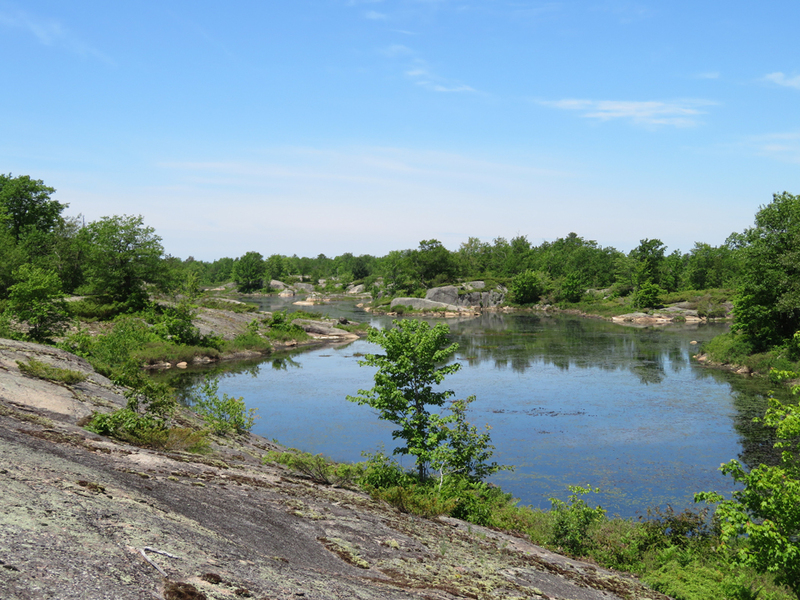 In May and June of 2017, BECO conducted field surveys in shrubby rock barrens across the southern edge of the Canadian Shield, from west of Gravenhurst to Puzzle Lake Provincial Park. Field data collected in 2015 and 2017 will be analyzed to assess Prairie Warbler distribution within the Land Between. Conservation implications: The Prairie Warbler Project uses habitat modeling and field surveys to provide important information about where this species breeds and the environmental conditions it requires. This information is vital to determining where conservation actions can be most effective for Prairie Warblers and the target habitat conditions for management activities. In addition, this research can be useful for determining where other species of conservation concern that require similar habitat conditions may occur. In 2015, BECO conducted preliminary surveys in Queen Elizabeth II Wildlands Provincial Park. In 2017, we conducted surveys across the southern edge of the Canadian Shield. Support for the Prairie Warbler Project was provided by The McLean Foundation, the Helen McCrea Peacock Foundation at Toronto Foundation, and a donation from Janet and Kenneth Dance. A male Prairie Warbler sings his ascending song: “zee zee zee zee zee zee zee zee” from a red oak tree in his breeding territory. Examples from 2017 field surveys of locations occupied by Prairie Warblers. Along the southern edge of the Canadian Shield, Prairie Warblers are found in rock barrens with sparse and shrubby vegetation. 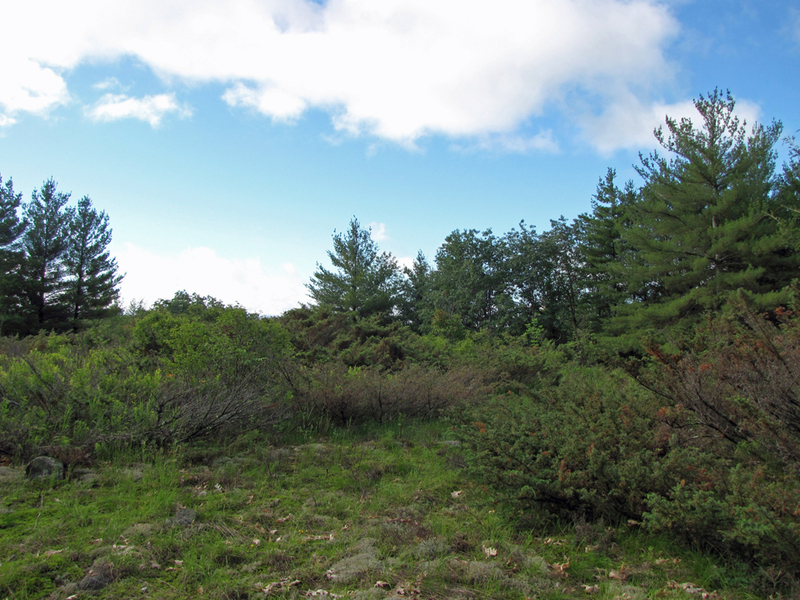 The species is often associated with common juniper, oak, and white pine.